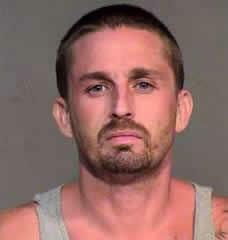 Detailed on AZFamily as well as Phoenix’s Good Morning Arizona today, 31-year old Jasper Stewart was caught by police after a couple forms of digital technology put an end to his joyride in a stolen car. On the morning of September 7, Stewart approached an SUV sitting in the parking lot with a young woman and child sitting in the back seat. The young woman, Kaitlyn McGrath, is the nanny of one-year-old Cash Powell, the child of fitness experts Heidi Powell and Chris Powell. Chris Powell is well known as the trainer and life coach on ABC’s Extreme Makeover Weight Loss Edition. While Heidi Powell was in a nearby salon, Kaitlyn McGrath and Cash Powell were sitting in the SUV playing with an iPad in the backseat in order to keep Cash entertained. Stewart knocked on the window of the SUV and McGrath rolled down the window slightly to hear him. Stewart then threatened to kill both Kaitlyn McGrath and Cash Powell unless they got out of the vehicle. Kaitlyn McGrath grabbed the one-year-old child immediately as Stewart got into the front seat of the SUV. As Stewart pulled away in the SUV with the iPad still located in the car, a call was immediately placed to 911. 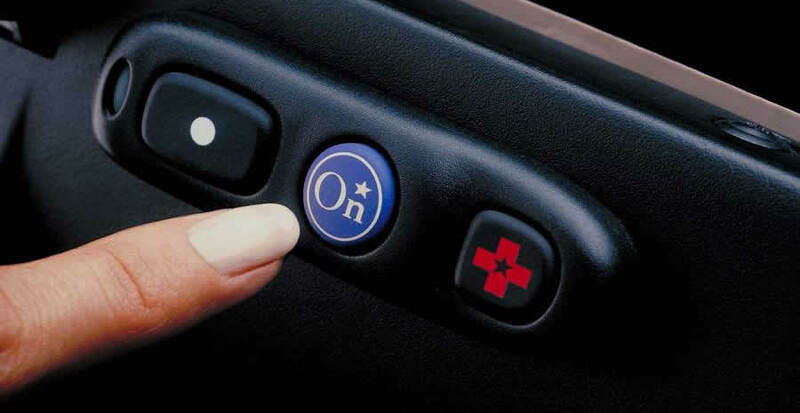 When police arrived on the scene, Mrs. Powell informed police that the car was equipped with OnStar. According to an OnStar representative, Mrs. Powell got in touch with an OnStar Advisor in order to report the car as stolen. After Mrs. Powell provided her OnStar account information, police on the scene were able to officially confirm that the car had been stolen. At this point, the OnStar Advisor initiated a Remote Ignition Block which makes it impossible to start the vehicle back on after it’s been turned off. After the vehicle was disabled by OnStar, it’s likely that OnStar relayed the vehicle’s current location to police. However, Stewart took the iPad and attempted to leave the area on foot. Using Apple’s Find My iPad application, police were quickly able to find Stewart based off the GPS location of the iPad. After locating Stewart strolling down the road with iPad in hand, police were able to capture and arrest him. According to investigators, Stewart has an extensive criminal history. Both Chris and Heidi Powell were extremely grateful that Kaitlyn acted quickly and made sure Cash was pulled from the vehicle safely. On Twitter, Chris Powell wrote “Our nanny is SO AMAZING. She quickly responded and got Cash to safety. She is a rock star hero!” He also tweeted in appreciation of the quick response of Mesa’s police department as well as OnStar’s services regarding stolen vehicles.